A new semester begins, and things have settled down for the Mizusawa High School karuta club. With a new batch of incoming faces, the karuta club has many new applicants. Chihaya’s passion is stronger than ever, and she isn’t backing down from her ambitions. 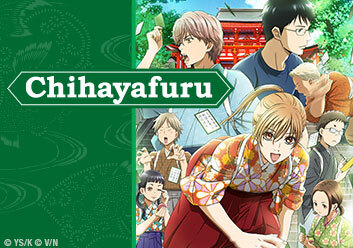 As the team gets ready for two extremely intense high school championships, will Chihaya succeed in her dream? Will You Go, O Fishing Boat? Will You Tell Them of My Fate? Even in Dreams You Don't Dare, Do You Fear What They Will Say? Everyone keeps wondering, "Is he thinking about love?"